Come play at the Christmas party! Decorate with Santa, do make-up, face-painting, listen to Christmas music and much more!! Have fun! Level 1: Princess makeover room. Help do hair-coloring, make-up, icy designs and much more! Level 2: Ho-Ho-Ho!! Decorate the Christmas tree and feed Santa milk & chocolate chip cookies! Yum! Level 3: Build a Snowman! Add carrot for the nose, top hat, wooden sticks for arms and more! 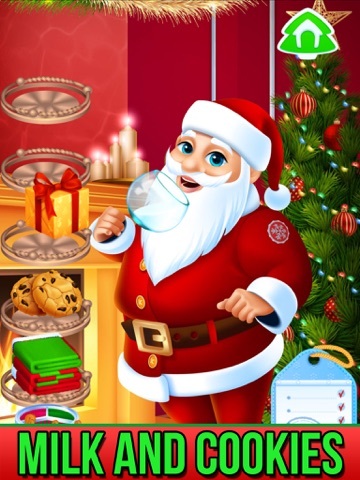 Level 4: Get Santa ready for Christmas! Clean-up, sewing the ripped Santa outfit, comb Santa's hair and much more! Level 5: Face-painting room! Choose from your favorite holiday designs! Level 6: Help the green elf get ready in time for Christmas and look their best! Level 7: Care for the baby. Give milk, play with the mobile, toy doll and much more! Level 8: Choose your style! Christmas tree, reindeer, gingerbread and more! *Level 9: Wedding Salon! A Frosty celebration! *Level 10: Play at the Christmas party room! Eat candy canes, clean-up from the snow, decorate the room and much more! 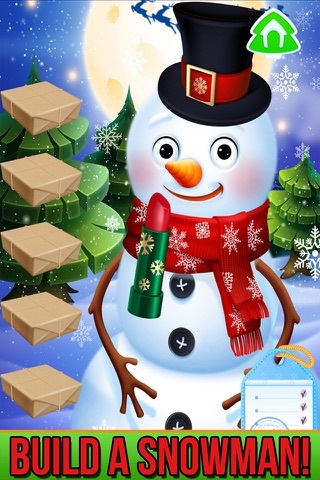 *Level 11: Play at the Christmas Salon! Eat holiday snacks and take a group photo for Christmas! 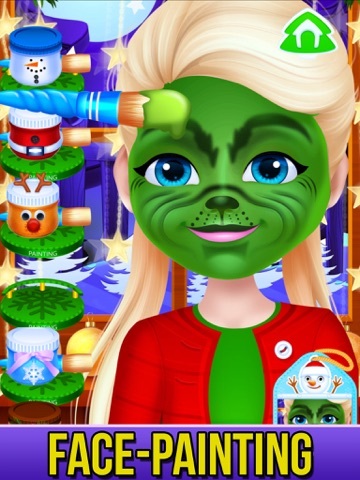 *Level 12: Help Santa's helper with a new makeover! *Level 13: Santa needs you to help at the spa. Comb hair, clean-up and much more! *Level 14: Put make-up on another snow friend!! *Level 15: The winter ice princess needs your help at the frosty spa. Get ready for a makeover! 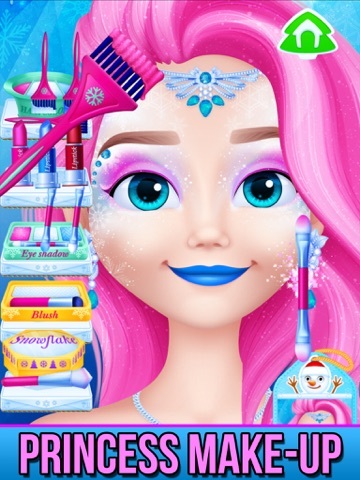 *Level 16: Ice Princess Makeover! Create the best ice princess with face-paint, make-up and cool earrings. *Level 17: Let's play with the elf. Clean-up and dry off using the towel. *Level 18: Red nose reindeer makeover! Decorate with antlers, Santa hat, sparkles and more! *Level 19: Santa is ready for Christmas!! Prepare the holiday gifts and don't forget Santa's glasses!